Established by Melbourne Symphony Orchestra percussionist Robert Cossom in 2004, the MSO Snare Drum Award is designed to encourage the pursuit of excellence in snare drum performance in Australia and New Zealand. Open to undergraduate tertiary students from Australia and New Zealand, this award provides an exclusive opportunity for applicants to further develop audition and performance-based techniques in a professional environment. 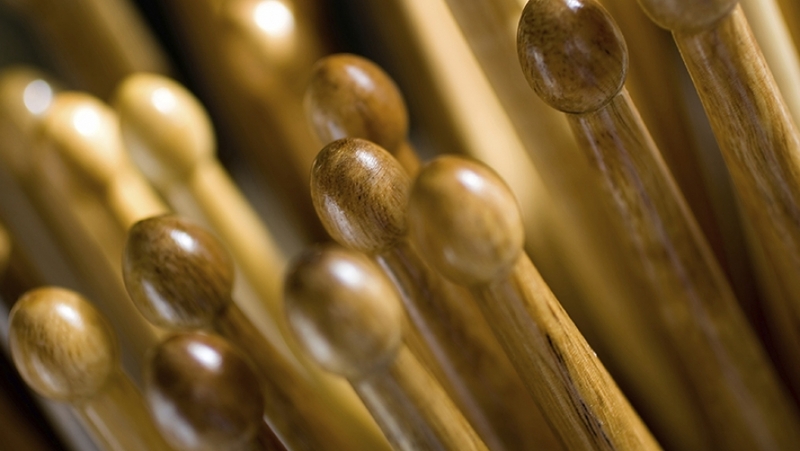 The winner will receive percussion equipment and the opportunity to undertake a one-year mentorship with the MSO. The Snare Drum Award will be held on Tuesday 28 May, 2019 at Iwaki Auditorium, ABC Southbank Centre. Scroll down to see details of the required repertoire. MSO Snare Drum Award 2019 is proudly supported by Robert Cossom. The test piece was commissioned by Lyn, Tim and Kris Edward. The Snare Drum Award is also kindly supported by Zildjan, Evans and Just Percussion. Due to Rhythmscape Publishing being on a short hiatus, composer manuscripts of the test and own choice pieces will be made available upon receipt of application. Each applicant is also required to play some orchestra excerpts; these will be emailed out in due course once applications have been received. If you have any questions regarding the Snare Drum Award please contact Katharine Bartholomeusz-Plows.